High Love Smartphone case with Bumper, iPhone® XS Max, Pink. Make your everyday sparkle in style with this dazzling smartphone case. 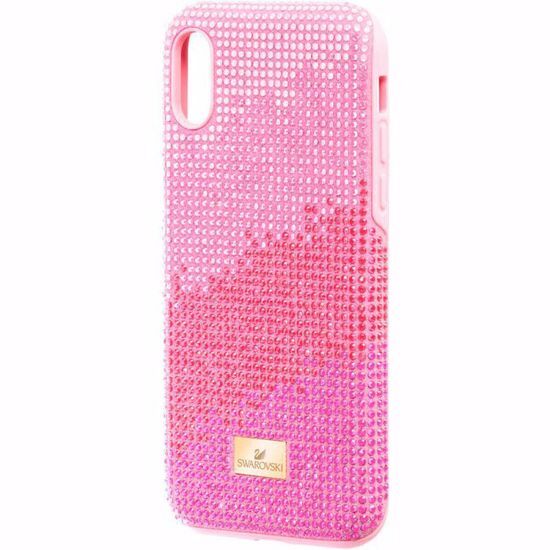 Compatible with the iPhone® XS Max, it is beautifully adorned with more than a thousand glittering crystals in a stunning gradation of pink tones. A feminine and romantic design, it would combine perfectly with our Valentine’s Day jewelry collections to make an ideal gift. It also features the Swarovski logo and a bumper for extra protection, ensuring it has style and functionality in abundance. iPhone® is a trademark of Apple Inc.